Few people doubt that 2010 will go down as the year the tablet computer took off. On April 3, the first day of sales, Apple sold 300,000 iPad tablets to eager buyers. Weeks later, Apple announced that it would delay by one month the international launch of the iPad because it couldn't keep up with domestic de­­mand. Meanwhile, other tech companies are gearing up to ride the wave by prepping their own tablet PCs. Rivals to the iPad include tablets that carry Google's Android operating system, Flash video, multitouch screens, front-facing cameras, and multitasking support. These models offer alternatives to the iPad, which lacks key features such as Adobe's multimedia Flash technology, a camera, and a built-in USB port. Will tablets become the go-to-gadget when you want to kick back and browse the Web, check e-mail, read an e-book or magazine, play games, or watch a movie? Tablets have tanked in the past. Yet IDC, a market re­­search firm, projects that the category of media-centric tablets may sell as many as 15 million units in 2011. Analyst Bob O'Donnell of IDC says that Apple rivals will struggle to match the iPad's slick touch interface, unique content (such as iBooks and iTunes), and thousands of App Store applications. "Success is pinned on the amount of apps you can offer tablet users," O'Donnell says. But what iPad alternatives lack in apps they make up for in hardware specs. They will offer a broader choice of shapes and sizes, along with Webcams (for video chat), USB slots, and HDMI ports. Some upcoming tablets will pair Windows 7 with an Intel Atom processor, or match nVidia's Tegra 2 chip with Linux or Google's Android OS. Multitasking? Check. Flash video? You bet. Google is said to be building a tablet that will run either its Android platform or the Web-centric Chrome OS. Microsoft may be developing a paperback-size dual-screen device, dubbed the Courier, that may be more of a pen and touch-controlled digital journal/eReader than an iPad-style media tablet. Meanwhile, Toshiba and Asus will hedge their bets by building both Google- and Windows 7-based tablets. Toshiba has its eye on late 2010, while Asus is likely to unveil new devices (perhaps even a Chrome OS slate) this June at Computex--Asia's largest tech show. Apple has done the tablet market a favor, according to Jeff Orr of ABI Research. He believes that the iPad has raised the public profile of the media tablet category. By 2015, ABI Research estimates, 57 million tablets will be sold annually. Here's a look at some of the tablets, besides the iPad, that may be popular in the year ahead. 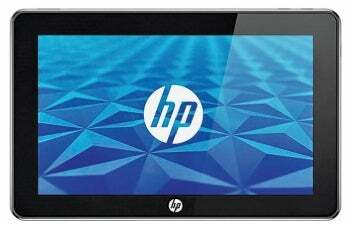 It doesn't have an official name yet, but HP's slate PC is already turning heads. It runs Windows 7 and supports hardware-accelerated Flash video, and may cost between $549 and $599. Specs include an 8.9-inch (1024-by-600-pixel) display, HDMI output, 32GB or 64GB of storage, a USB 2.0 port, a SIM card slot, and two cameras: a VGA Webcam on the front, and a 3-megapixel camera on the back. HDMI output comes via a dock accessory. Basically, it's a netbook squeezed into a slate design. Also on board: a 1.6GHz Intel Z530 Atom CPU, 1GB RAM, and 802.11b/g Wi-Fi. HP reportedly is working on a range of tablets--one a mini Android device intended to compete with the 5-inch Dell Streak. Dell has confirmed its plans for a "family of tablets," led by this Android 2.x handheld. Its 5-inch multitouch screen is more pocket-friendly than those on rival slates, yet it's larger than most smartphone displays (yes, the Mini 5 can make calls). 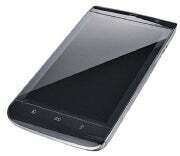 It comes with a 1GHz Snapdragon CPU, a 5-megapixel camera on the back, a front-facing camera (for video chat), and GPS. The 5-inch Streak will arrive around midyear, to be followed--closer to 2011--by 7- and 10-inch models.